The newest Issue is up over at Paper Issues today! 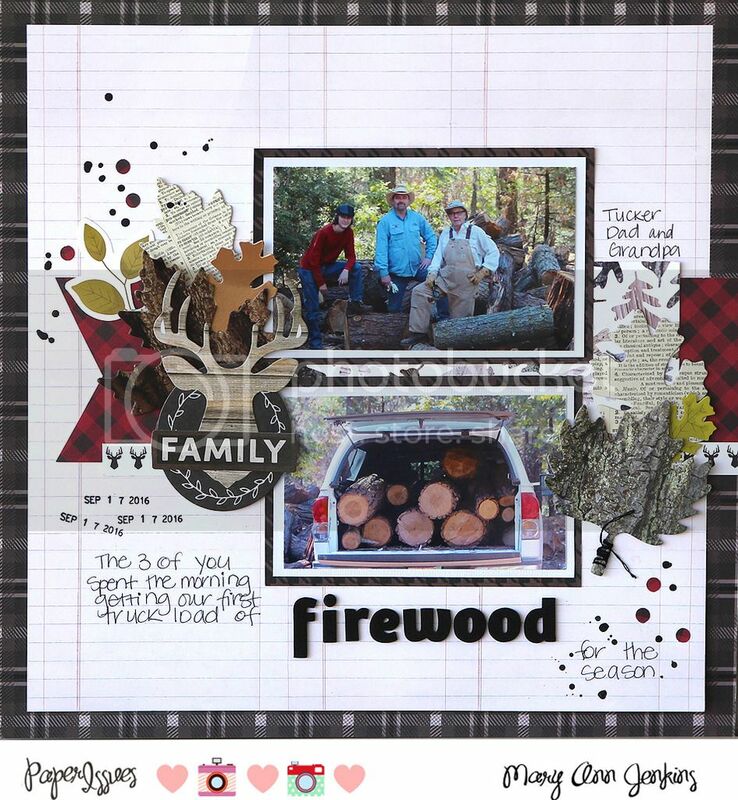 This month's theme is "You Knock My Fox Off", and two (of the many) suggested ideas are: fall, and create something about the people you love, so I combined those ideas and came up with this layout of my son, husband, and dad-in-law collecting firewood just a few weeks ago. Now that we live out in the country, firewood is a necessity for our wood burning stove, and that means me tagging along with the camera and taking pictures of the process ;) We're just a 15 minute drive to the forest, so it makes for a nice day of making trips back and forth, filling up the truck with firewood. 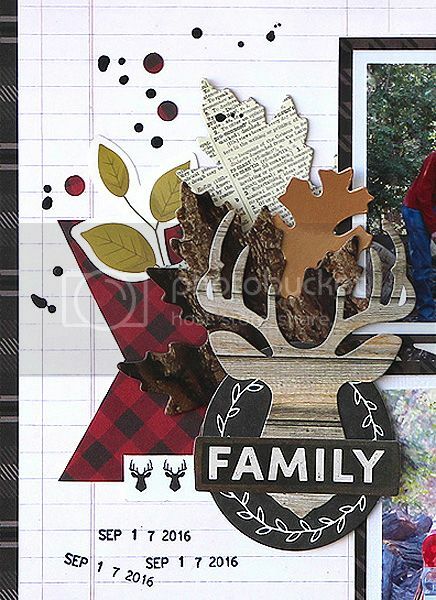 Pebbles new Warm & Cozy collection seemed perfect to use for this one, I love those chipboard leaves! I especially like that some of the leaves look like real wood! How cool is that! I also layered in leaf stickers here and there, and then that cute dear head too. There are some really pretty plaids in this collection, and I think I'll be saving some of that red and black plaid paper for Christmas layouts. **Remember to use code: Mary Ann in the Paper Issues store for 20% off your entire purchase! !